CU Foundation President and CEO J. Wayne Hutchens will be a featured guest on an upcoming episode of the Rocky Mountain PBS public affairs program "Colorado State of Mind," talking about the state of fundraising for higher education in Colorado with host Doug Price and other guests. The broadcast will air on Rocky Mountain PBS (Channel 6 Comcast, Channel 8 Direct TV/Dish), at 7:30 p.m. Friday, Nov. 27, and will be rebroadcast at 5:30 a.m. Nov. 29 and 12:30 a.m. Nov. 30. 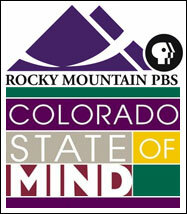 The show also will be available for live streaming at www.rmpbs.org/stateofmind after the first broadcast.